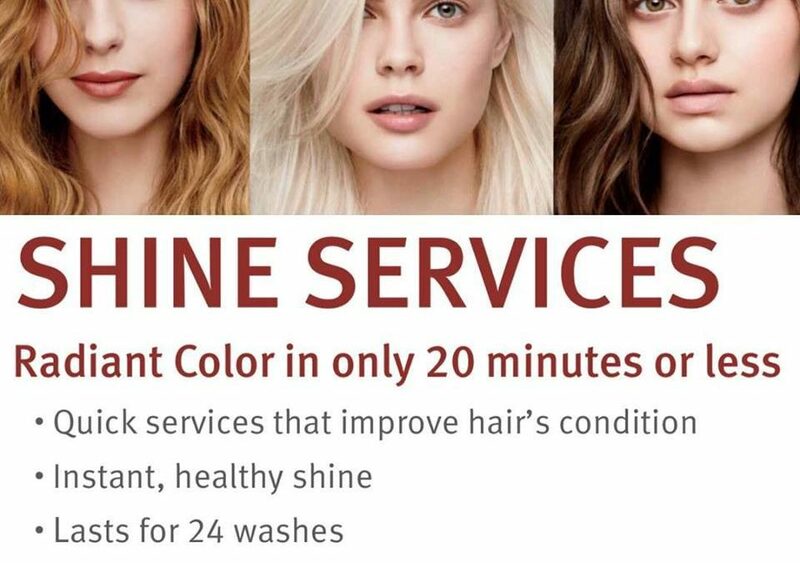 Hair Color Shine Treatments are infused with plant oils that boost shine and improve your hair’s condition in just 5-20 minutes. You’ll see and feel the difference right away, whether you’re glossing your natural color, refreshing color, or coloring gray. Call to book one with your next service!